Office supplies retailer Staples is running a sale on a number of popular mobile devices starting Sunday and lasting through March 2nd. The retailer is trying to become a player in the sales end of the mobile industry and will start selling Apple devices in the U.S. soon, which means that Staples will soon be selling the Apple iPhone and Apple iPad. 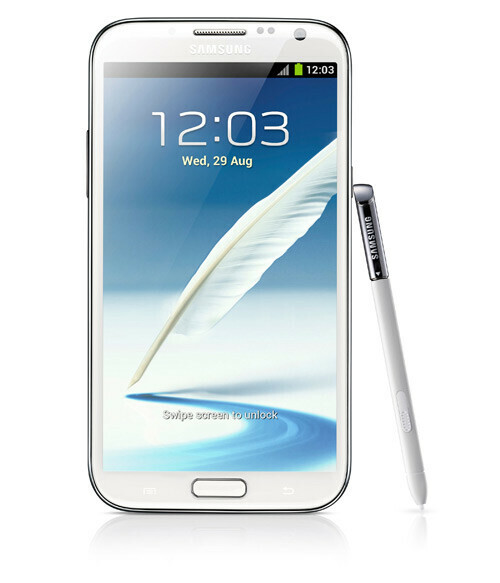 Starting tomorrow, the T-Mobile version of the Samsung GALAXY Note II is $249.99 with a $50 mail-in rebate. 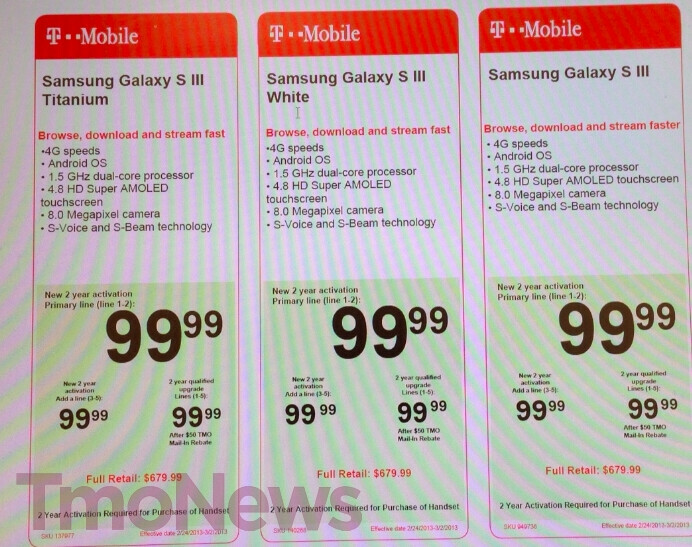 The deal is offered to both new T-Mobile customers, or those upgrading an existing line. Either way, you will need to affix your signature on a two-year contract. 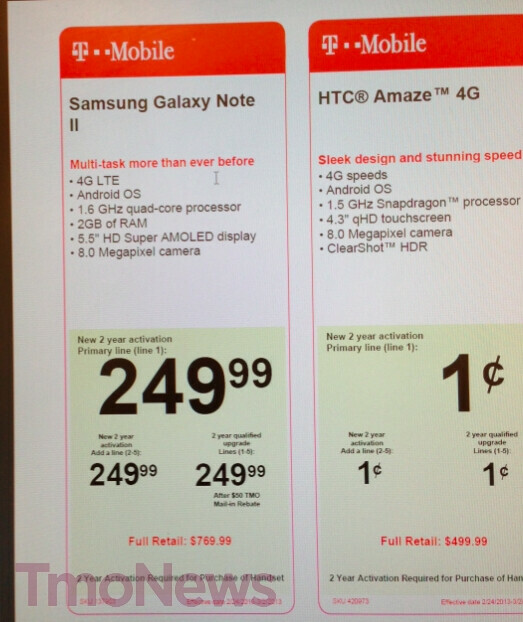 Staples also has a special price on the Samsung Galaxy S III. Available in Blue, Titanium and White, the flagship Android handset is available for $99.99 after a $50 mail-in rebate. Bring in a smartphone for a trade, and you can get an additional $50 off knocking the price down to $49.99. These are the two hottest Android models in the U.S. and have been the engine behind the Korean manufacturer's placement at the top of the smartphone charts. If you have a penny in your pocket, the HTC Amaze 4G,or the LG Optimus L9 can be purchased for 1 cent as long as you sign up for a new line with a signed two-year contract, or upgrade a current account and agree to be locked in for another two years. Again, a $50 mail-in rebate takes the price down to the sales price. 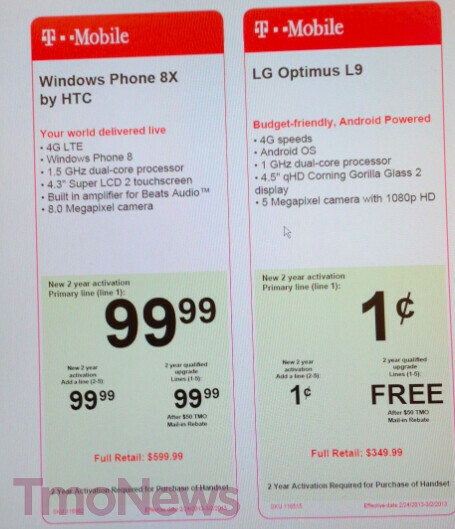 Lastly, if Windows Phone 8 is your thing, the T-Mobile version of the HTC Windows Phone 8X can be yours for $99.99 with a $50 mail-in rebate and a signed two-year contract. If you have a strong interest in any of those models, you might find it worth it to visit your local Staples location, or check out the web site. I wouldn't be so excited, there are a lot better deals out there. Not a good deal. Samsclub has the Verizon Note 2 for $198. Some Sam's has it for $98. 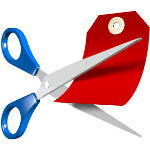 Great deals if you love mail-in rebates! !